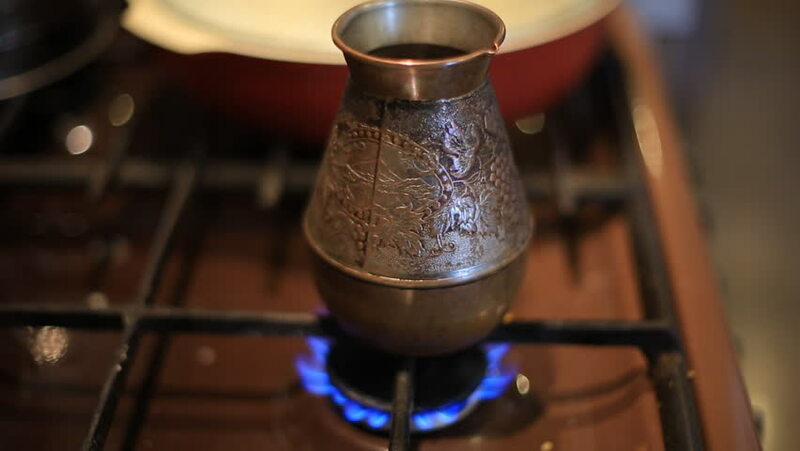 hd00:09making coffee in the Turkish coffee pot on a gas stove. food and drink at home. hd00:19Barista makes coffee in the coffee machine. White coffee mugs.